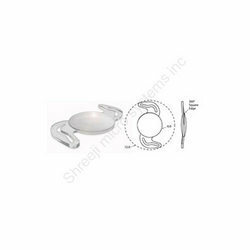 We have established ourselves as a renowned manufacturer of Foldable Intra Ocular Lenses. The products offered by us are developed using best quality material by a team of deft experts, hence assured of flawlessness. These lenses are extremely comfortable in their construct and offered by us to customers in many variants and sizes so as to suit their needs. 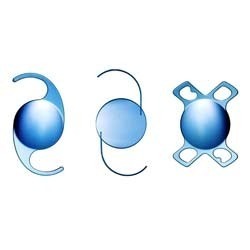 Moreover, our offered lenses are widely used in opthalmic surgical procedures for IOL implants. 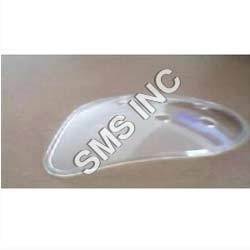 With the support of our proficient experts, we have been able to come up with a range of Hydrophilic Foldable Lenses. Made in sync with medical standards of India, the products we offer do not cause any irritation to the eyes. We provide all these lenses to the valuable customers with disposable injector /cartridge. All our offered lenses are widely used for replacing the existing crystalline lens from eye, which is effected due to the cataract. 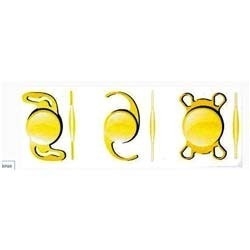 We have in store for our clients the topmost quality range of Yellow Hydrophilic Aspheric Foldable Lens. 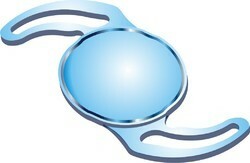 These lenses are very safe and convenient to use and are thus highly cherished by the doctors spread across the world. These lenses find their application in various laboratories, hospitals, nursing homes, medical centres, etc. at the time of surgeries or for carrying out various scientific experiments. Owing to the profound experience of varied aspects of the market, we have been able to offer a range of Foldable Lens / Intra Ocular Lenses. All our products are made using quality assured material, which is sourced from authentic vendors of the market. The products offered by us are extensively used for protecting the eye retina from the harmful blue light of visible spectrum. Moreover, clients can buy these lenses from us by paying via varied simple modes, as per their ease. 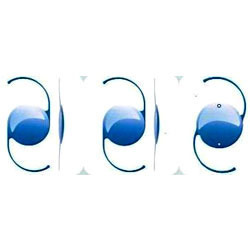 Model: c, flex, square type. They using all ophthalmologist after cataract surgery Our eye shield is very transference & quality eto products. Owing to the sound experience of variegated aspects of the market, we have been able to offer a range of Intra Ocular Lenses. All our products are developed under hygienic conditions using supreme quality material in sync with international norms. 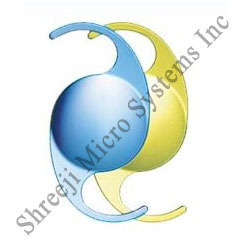 The products offered by us are ultimate solution for cylindrical vision and provide consistent sharp vision. Due to having features like being comfortable to wear and optimizing ocular health, our offered lenses are widely demanded by the patrons.